Call 250 546 0950 to reserve your favourite seats! Asparagus Community Theatre is pleased to announce it’s Spring Production and Okanagan Zone Festival Entry, Sadie Flynn Comes to Big Oak, a full length comedy written by renowned Canadian Playwright Norm Foster. This delightfully funny play takes place in Millie’s Cabin, a small café and the hub of the rural community of Big Oak. It begins with the arrival of Sadie Flynn (played by Jeunesse Pearson), newly released from prison for murdering her husband. Hilarity and intrigue (and gossip) ensue as the Café owner Tom Shaw (Andrew Nadrofsky) his friend/business partner Orson Hubble (Mark Trussell) and locals Bev Dupuis (Sheila Williams) and Rachel Blessington (Lois Archer-Duell) get to know Sadie and try to make sense of the increasing number of odd occurrences since her arrival. Norm Foster effortlessly captures the atmosphere of life in a small Canadian town. 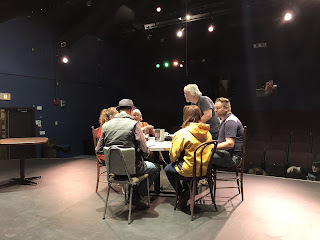 The show is not quite a sequel, but a continuation of events in the sleepy town of Big Oak involving Tom and Orson, two beloved characters that ACT Patrons might well remember from one of our previous productions Ned Durango Comes to Big Oak. Check our website www.asparaguscommunitytheatre.com or Facebook Page for information and updates! 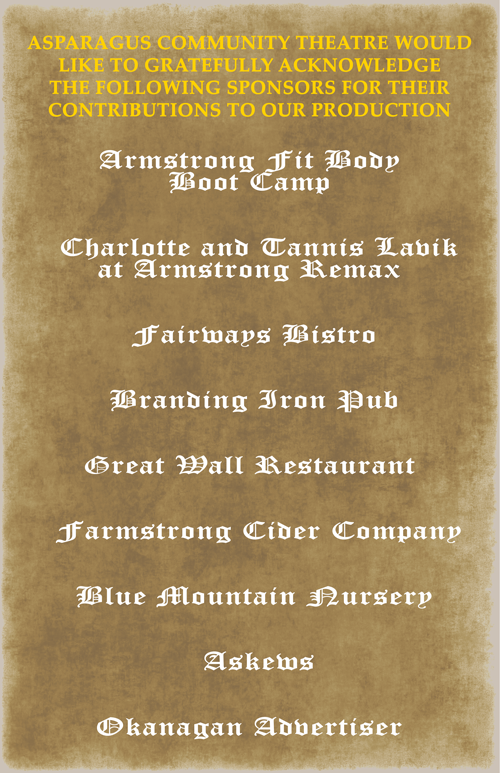 Big Oak is once again coming to Armstrong! 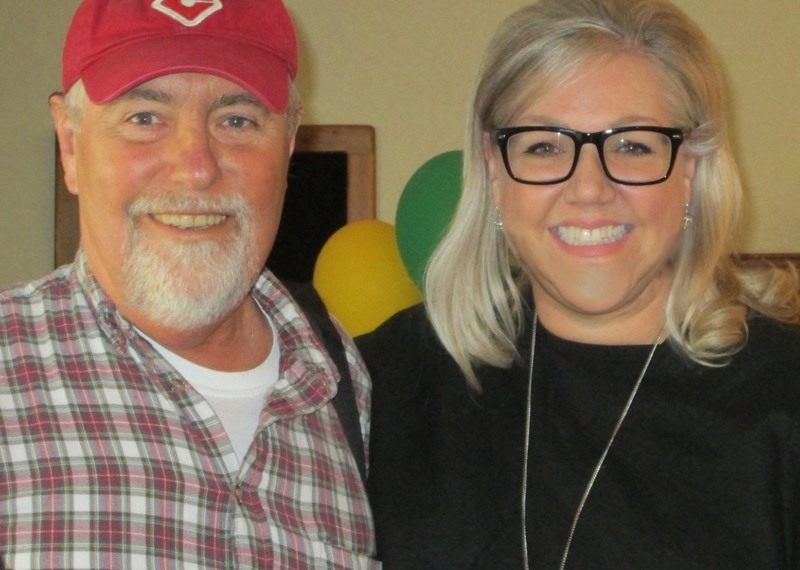 Asparagus Community Theatre is presenting ‘Sadie Flynn Comes to Big Oak’ -sequel to ‘Ned Durango Comes to Big Oak’ by Norm Foster. This wonderfully humorous play centres around Sadie Flynn who has just arrived in Big Oak, newly released from prison for murdering her husband. The casting is complete and rehearsals are underway for Asparagus Community Theatre’s presentation of Beauty and the Beast directed by Paul Kirkwood-Hackett. Written by Dawn Cairns, this pantomime is filled with hilarity, slapstick, talking animals, ugly dame sisters and of course Prince Handsome, the Beast and the Beautiful Belle. Veteran A.C.T. director Paul Kirkwood-Hackett (James and the Giant Peach, On Golden Pond, Goodnight Disgrace) is teaming up with music director Todd York (Always… Patsy Cline, Ethan Claymore and Winnie the Pooh) to bring you an exciting and hilarious adventure that will leave you rolling in the aisle. This is not like the Disney version! It is a fun filled traditional pantomime as evil witch Grimelza played by Sheila William and her sidekicks Snivel and Snide (Joseph Taylor & Beth Fitzpatrick) are thwarted in their attempts to prevent the Beast from marrying beautiful Belle played by Haley Burt. Expect action, audience participation, and antics throughout from our multi-aged cast of twenty seven. And what is a pantomime without music? Beauty and the Beast includes classic songs such as “Thank You for Being A Friend”, “Nine to Five”, and “Bad to The Bone”. Kelly Martwig, a certified classically trained pianist provides live music in conjunction with music director Todd York. Todd spent two years studying voice and music in Vancouver and sang in many choirs including Soundwave, a well-known jazz choir. Laurisa DeFehr (Always … Patsy Cline, Half Life, and Gold Dust) adds her expertise as choreographer for the musical numbers. 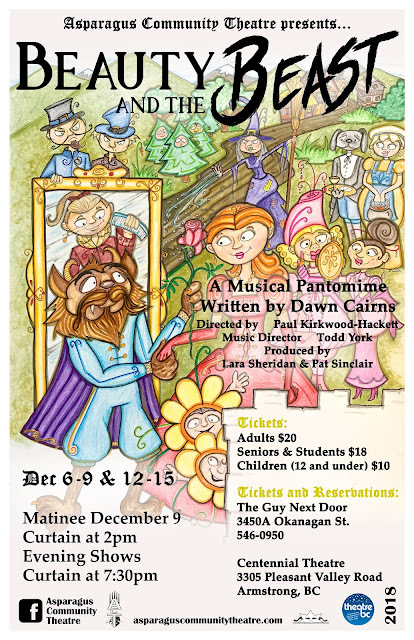 Beauty and the Beast, suitable for all members of your family runs December 6, 7, 8, 9 & 12, 13, 14, and 15 with 7:30 PM performances and a matinee on Sunday December 9th at 2 PM. Tickets go on sale November 6th at “The Guy Next Door”, 250-546-0950. Ticket prices - Adults $20, Seniors & Students $18, Children 12 and under $10. Do you have great people management skills? Are you a multi tasker? Can you keep calm under pressure? Do you have a keen eye for detail? If this sounds like you then you have the skills for Stage Management and we need you!!! Asparagus Community Theatre is searching for a stage manager for their winter production Beauty and the Beast, a musical pantomime. Rehearsals are underway with the show set to run December 6-9 and 12-15. Don't forget to bring a cheque or cash to become a new member or renew your old membership. 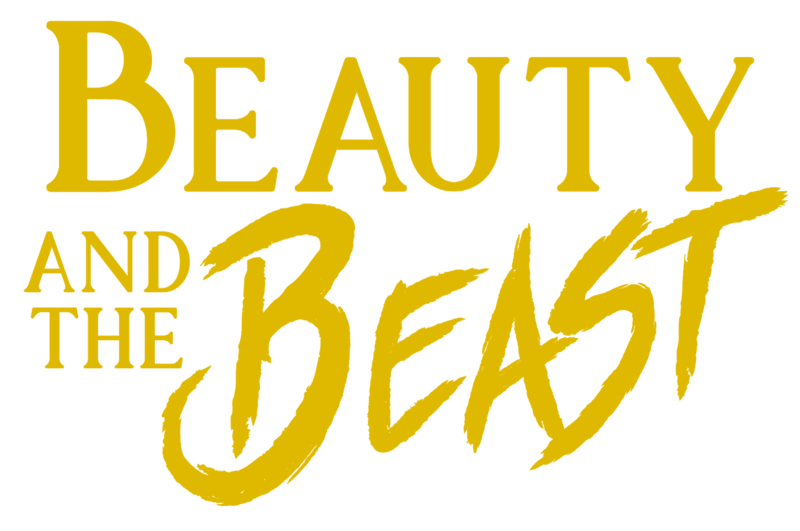 Auditions Reminder for "Beauty and the Beast"
Reminder: Auditions for Beauty and the Beast are this Sunday Sept 23 and next Tuesday Sept 25 @ 7:00pm at the theatre! Please note * All ages welcome to audition- Parents of children 10 under are required to stay during auditions and be present for all rehearsals should their child/children be cast in the production. No exceptions. Audition List for "Beauty and the Beast"
Asparagus Community Theatre is casting for their winter production of Beauty and the Beast. Not at all like the Disney version, this show is a fun filled musical pantomime full of slap stick, talking animals and of course Prince Handsome and Beautiful Belle. A large cast of approximately 20 roles with a chorus and villagers. Appropriate for children 10 years and up. Please be prepared to sing a song of your choice. PLAY READING: Sunday September 16th at 6pm. Auditions for "Beauty and the Beast"
Asparagus Community Theatre is getting ready to launch their 2018/2019 season and are currently calling for volunteers to come and get involved with our winter production, Beauty and the Beast. 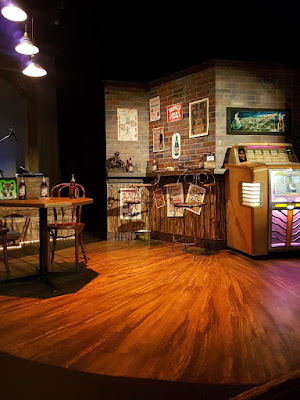 This is sure to be an exciting show to be involved with, and we are eagerly looking for volunteers to fill all positions including producer, music director, stage manager, publicist, costume designer, lighting and sound designers and operators, makeup and hair designers, and set painting and construction. Come get involved with your local community theatre!!! Everyone is welcome! Beauty and the Beast is a traditional fun filled musical pantomime with hilarity, slapstick, talking animals, and of course Prince Handsome and the Beautiful Belle. Don’t miss out on this great opportunity to get involved with your community and help support the local arts! Sold Out on All Shows! 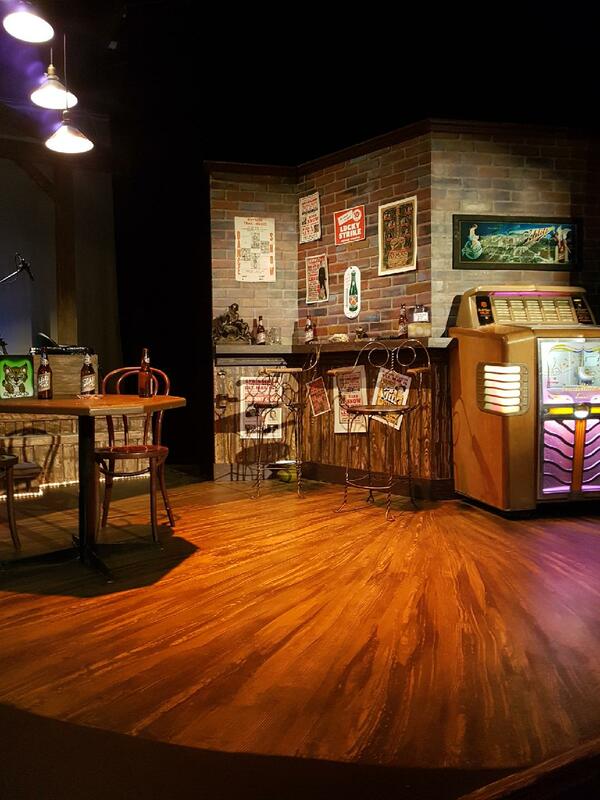 Asparagus Community Theatre is now excited to announce that we are sold out for ALL remaining shows of "Always... Patsy Cline!" 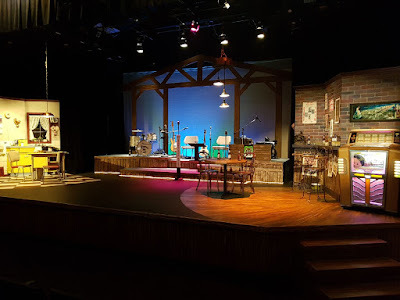 Congratulations to the cast and crew of "Always...Patsy Cline". Asparagus Community Theatre is thrilled to announce that our opening night performance of Always...Patsy Cline is SOLD OUT!!!! Tickets to other performances are selling fast with only a few tickets left to each performance so don't delay!! For tickets and information please contact our ticket outlet at 250-546-0950. Congratulations to the cast and crew of "Always...Patsy Cline". Break a leg!!! Asparagus Community Theatre was visited by Theatre B.C. consultant Neil Facey on Sunday’s rehearsal. He provided us with a “Fresh pair of eyes” as he puts it. Offering us some worthwhile suggestions, tips and laughs. Here he is pictured with director Laurisa DeFehr.
. Awesome Inc. theme. Theme images by andynwt. Powered by Blogger.